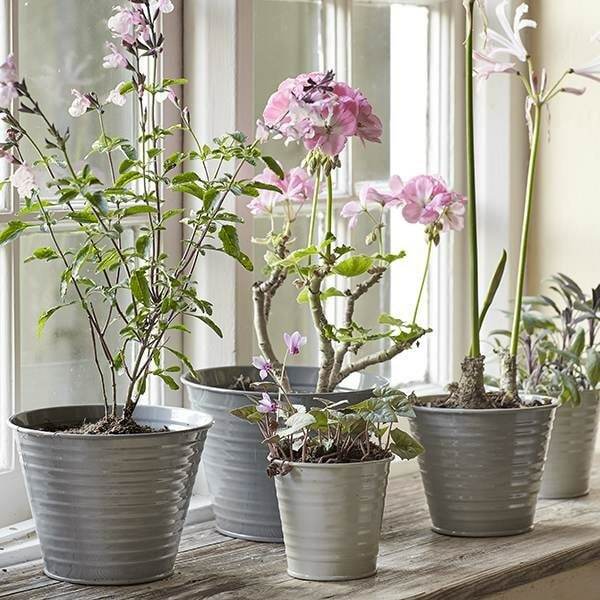 Fill these enamel pots with your favourite herbs or plants to create a striking arrangement in your kitchen or conservatory. 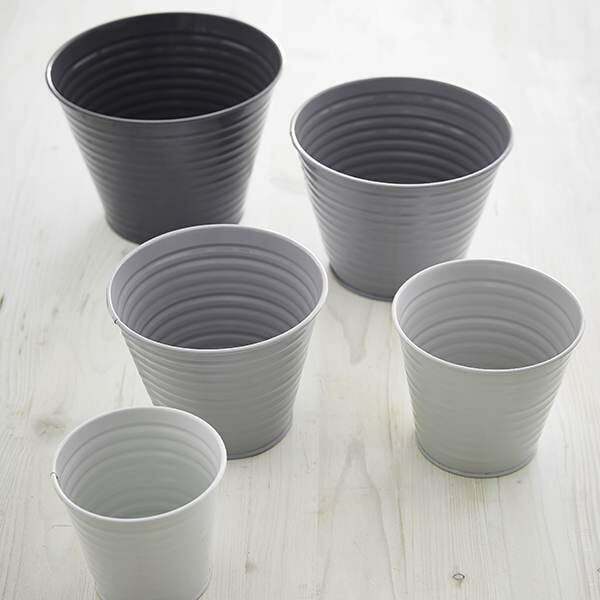 Supplied as a set of 5 pots that graduate in size and come in different shades of grey. 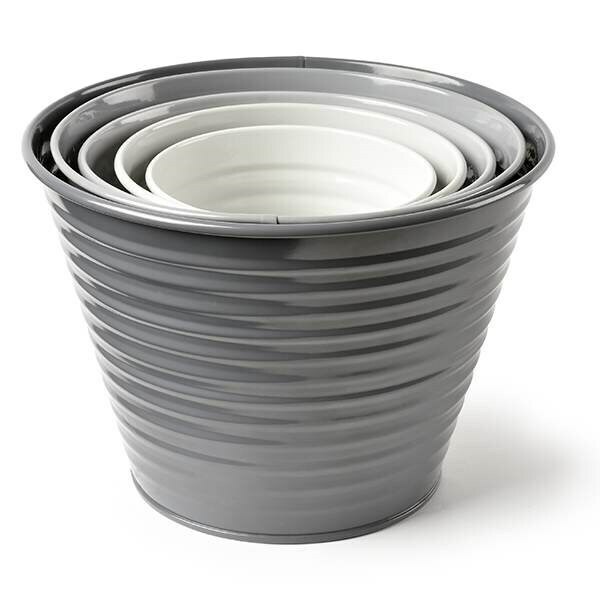 Please note: these pots do not have drainage holes.